Featuring spacious floor and elegantly designed, modern decor and choice of furnishing, we create stylish and comforting feel while affording a distinctive individuality. Our deluxe rooms have been designed for families on holiday, romantic getaways and corporate trips. 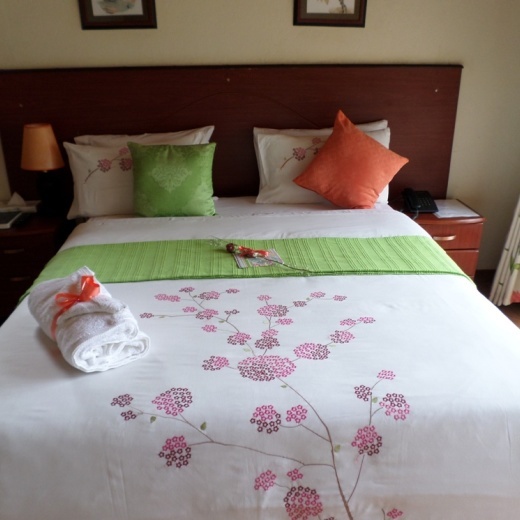 Rooms are located in the North wing of the hotel and have a balcony with beautiful view of the mountain Ruwenzori ranges, microwave and air conditioning. Fort Motel offers boutique hotel accommodation in Fort Portal, Uganda’s gateway town to the Rwenzori mountains which can be viewed from most rooms of our hotel. 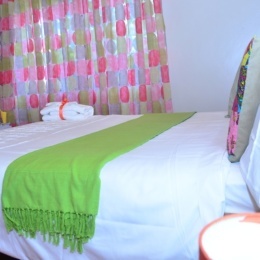 A good hotel for business clients and also for the leisure travellers, Fort Motel is perfectly located in the prime residential Fort Portal town area. The hotel has a bar and a restaurant overlooking the garden or swimming pool suitable for open-air dining. Fort Motel’s 21 rooms (including the annex) offer easy access to all the sites in town. All Kabarole area local attractions and activities can be easily done as a day trip from the hotel. The rooms are just as impressive as the communal areas. Tile floors/carpeted floor support comfortable warm beds and each room boasts a walk-in shower or bathtub with both warm and cold water. With attractions like Queen Elizabeth National Park, Kibale Forest National Park, Rwenzori mountains National Park and Semiliki game reserve, Semiliki National park, our hotel provides a perfect base for your safari plans. Game drives, boat cruises, bird watching, chimp trekking, nature walks, cultural experiences, and mountaineering. A variety of activities to occupy you during your holiday await you.